Noctua's NA-SAV3 consists of 16 extra long anti-vibrational fan mounts designed for fans that differ in thickness. 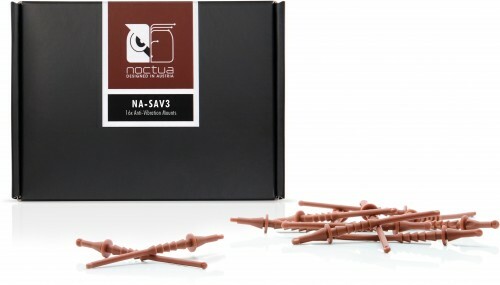 The NA-SAV3 is a fan accessory set consisting of 16 NA-AV3 anti-vibration mounts for up to four fans. Replacing standard fan screws, the NA-AV3 mounts enable the convenient, quick and vibration-free installation of fans in standard mounting holes for case fans. Five defined, numbered pawls allow the NA-AV3 to work perfectly with both standard open corner fans (pawl 1) and 10, 14, 15, 20 or 25mm thick fans with closed corners (pawls 2 to 5). This makes the NA-AV3 ideal for slim fans where other anti-vibration mounts may not fit properly. Fans installed with standard fan screws can transmit minute vibrations to the PC case, which can lead to annoying resonance noises. Switching standard fan screws for NA-AV3 mounts can drastically reduce these structure-borne noises by effectively decoupling the fan from the PC case. Compared to conventional single-side anti-vibration mounts, the NA-AV3's double-side design makes them much easier to work with in space-restricted environments or placements where the fan’s mounting holes are difficult to reach. 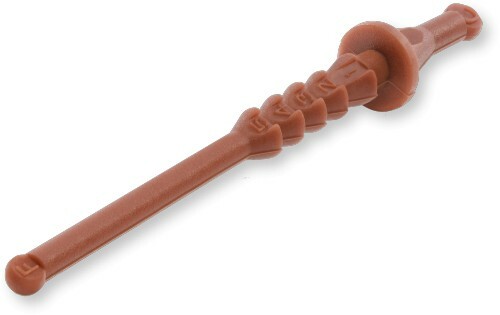 The use of premium-grade silicone makes the NA-AV3 mounts both extra soft and highly tear-proof, allowing them to combine efficient decoupling with excellent longevity and ease of use. Thanks to its five defined, numbered pawls, the NA-AV3 mounts are convenient to install even with 10, 14, 15 or 20mm deep fans (e.g. NF-A4x10, NF-A9x14, NF-A6x15, NF-A4x20) or 25mm fans with closed corners. The NA-AV3 mounts are ideal for the vibration-free installation of all current Noctua fans (including redux and industrialPPC models) as well as many third-party fans.